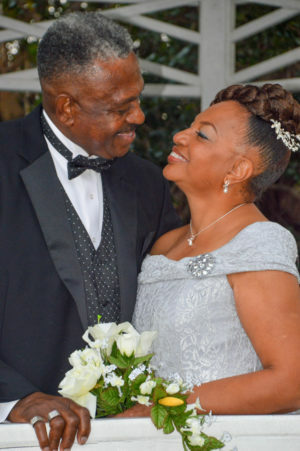 Cynthia Grant and Bernard Blunt were united in marriage before their family and friends on Saturday, December 3, 2016 in the chapel at Wedding Chapel by the Sea in Myrtle Beach, South Carolina. Rev. Pam Muise officiated. The couple will honeymoon in Myrtle Beach, SC before returning to Summerville, SC where they will reside.